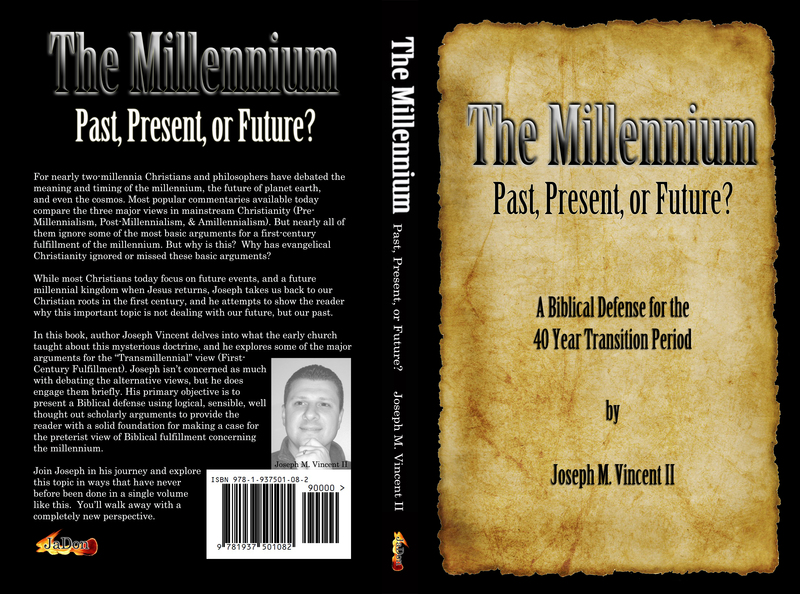 The Destruction of “creation” and the end of the Millennium was in the first century! As promised in the previous article, we want to turn our attention now to Revelation 6 where, just as in chapter 16 and chapter 20 we find the destruction of creation at the Great Day of the Lord. What is so significant about this is that it can be proven with virtual certainty that Revelation 6 is a prediction of the judgment of Jerusalem in AD 70. So, if Revelation 6 is the same time as Revelation 20, which is the time of the destruction of creation at the end of the millennium, then that means that if Revelation 6 was fulfilled in AD 70, the end of the Millennium occurred in AD 70. With that in mind, let’s take a look at Revelation 6. Keep in mind that this Great Day of the Lord’s Wrath is the answer to the prayer of the martyrs for vindication, for the judgment on those “on the earth” who had slain them. Not only that, keep in mind that they had been told that their vindication and that Great Day of Wrath against their persecutors would not be far off. They only had to rest “for a little while” until that Day, and then, verse 12 describes that imminent Day. 1. It is the destruction of creation. 3. The language of this Day precludes any reference to an end of time event that is over “in a moment, in a twinkling of an eye.” If men could run to the hills and hide in the rocks and caves, then clearly, it is not an instantaneous event. The point here is that the language of fleeing to the hills and hiding in the rocks and caves was typical Hebraic expressions for what happened in times of warfare. And our next point drives that home. 5. John quotes verbatim from Isaiah 2:10 / 19-21. The importance of this cannot be over stated. It is an amazing fact that few, very few, commentators deny that Jesus was predicting the coming desolation of Jerusalem at the hands of the Romans. So, we have Jesus quoting Isaiah’s prediction of the Day of the Lord when the Lord would arise to shake the earth, and men would run to the hills. He was speaking of the coming destruction of Jerusalem. We then have John in Revelation 6 quoting from the very same verses from Isaiah that Jesus applied to AD 70! So, if Jesus quoted from Isaiah’s prediction of the Great Day of the Lord and applied it to AD 70, and if (since) John quoted from the very verses that Jesus applied to AD 70, what is our authority for claiming that in Revelation 6 John was applying Isaiah 2 to some other event, radically different in time and nature from how Jesus applied Isaiah? 6. In Revelation 6, John also quotes directly from Malachi 3. In describing the coming Great Day of God’s wrath, he said “Who shall stand before Him.” (Like the language of running to the hills, the language is taken from OT predictions of the historical Day of the Lord in judgments of cities and nations. See Nahum 1:1-6, the prediction of the destruction of Nineveh). This is, as the literature confirms, a direct quote from Malachi 3:1-3, and the prediction of the coming of the Lord in judgment of the Old Covenant Temple! The significance of this citation cannot be over-emphasized. Malachi 3 is a prediction of the coming destruction and judgment of the Jerusalem temple. Keep in mind that the Babylonian destruction was long past. The coming judgment was to be judgment of Jerusalem for violating Torah (Malachi 3:5-6). And, catch the power of this, John the Baptizer, as Elijah, was to be the herald of that coming Day! He was the Messenger to prepare for the coming of the Lord (Malachi 3:1-2). He was Elijah, according to Jesus’ himself (Matthew 17:10-12). See my book, Elijah Has Come: A Solution for Romans 11:25-27 for a full discussion of the incredibly important role of John the Baptizer. 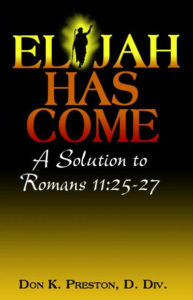 Elijah has come- The end of the Millennium has come! The bottom line here is this. John in Revelation 6 quotes from Malachi 3 which foretold the coming of two Messengers. One was John the Baptizer. As the Messenger of the Lord, preparing for the Great Messenger, his message was that judgment was coming on Jerusalem and the Temple, and no man (none of the wicked) could stand before him when he came. As that Messenger, John’s message was, “Repent, for the kingdom of heaven has drawn near… his winnowing fork is already in his hand, the axe is already at the root, and every tree that does not bring forth fruit shall be cut down and cast into the fire” (Matthew 3:2-12). Keep in mind the central fact that the Messenger of Malachi 3, who was John the Baptizer, was to proclaim the Day of the Lord that would be a time of judgment on Jerusalem for violating Torah, the Law of Moses! Thus, when John in Revelation 6 quotes from that prophecy in his prediction of the coming Great Day of God’s wrath, we must- if we are going to deal properly with the text- take the ministry of John the Baptizer, as the Messenger of Malachi 3 into consideration. And that means that John the Baptizer’s message of the imminent coming of judgment is the key to understanding Revelation 6 and the entire Apocalypse. 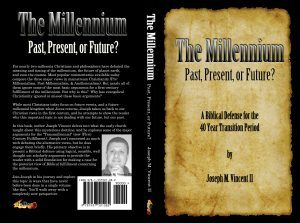 Now, unless John in Revelation was just arbitrarily and capriciously quoting from Malachi, and totally ignoring the ministry and message of John the Baptizer as the Messenger of Malachi 3, it means that the ministry and message of John the Baptizer is the key to understanding this Great Day of the Lord’s Wrath– and thus, the end of the Millennium. This cannot be over-emphasized. 8. Finally, the correlation between Revelation 6 and Revelation 16 and the identity of Babylon as the persecutor being Old Covenant Jerusalem means that the Great Day of the Lord’s Wrath – in vindication of the martyrs, was to be in AD 70. Jesus emphatically posited the time of the vindication of the martyrs for his generation (Matthew 23). Unless one can absolutely divorce Jesus’ paradigmatic teaching on the time and context for the vindication of the martyrs, this is a controlling factor in our understanding and application of Revelation. So, when we examine Revelation 6 in light of all of these facts – and there are several other elements in chapter 6 that we have not touched on, the evidences mounts up and becomes insurmountable. ✔ Revelation 6 is the Great Day of God’s wrath on the persecutors of the Lord’s saints. ✔ That Great Day would be in fulfillment of Jesus’ prediction in Matthew 23. That was in AD 70. ✔ It would be in fulfillment of Isaiah 2:19-21. According to Jesus, that was to be in AD 70. ✔ It would be in fulfillment of Malachi 3. This means it would be the fulfillment of the ministry of John the Baptizer, and John posited fulfillment of the coming judgment as imminent. That judgment was in AD 70. Now, based on these facts, since the Great Day of the Lord of Revelation was to be in AD 70, and since the creation was to be destroyed at that Great Day of the Lord, and since the creation would be destroyed at the end of the Millennium (Revelation 20), this means without any doubt, that the Millennium ended in AD 70. With these (very brief) facts in mind, what I want to do next is to take a brief look at another text in Revelation that, while it does not mention the passing of heaven and earth specifically, it is patently parallel to the three texts we have examined thus far. That text is Revelation 11 and we will look at it in our next installment, so stay tuned!